This chilling fable about the rise of fascism in the 20th Century tells the story of a young American boy living in France in 1918 whose father is working for the US government on the creation of the Treaty of Versailles. What he witnesses helps to mould his beliefs – and we witness the birth of a terrifying ego. 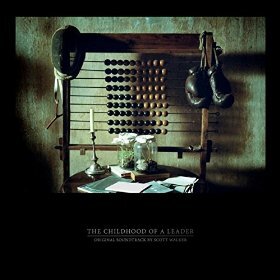 Loosely inspired by the early childhood experiences of many of the great dictators of the 20th Century and infused with the same sense of dread as The Others and The Omen, The Childhood of a Leader is an ominous portrait of emerging evil. The movie soundtrack of The Childhood of a Leader will be released on August 19, 2016.